Our People Solutions team brings extensive experience in recruiting, HR management, and organizational development, having served everything from small start-ups to Fortune 500 firms, to major federal government departments. See more about our People Solutions services here and our Recruitment services here. Shawn Miller has extensive experience guiding organizations to a higher level of performance and cultural improvement. He specializes in leadership training, organizational development, strategic planning, recruiting, compensation planning, change management, and other people related services. In addition, he has over 10 years’ experience in operations management, specializing in leadership development, manufacturing and assembly, quality and compliance, and production planning. This distinctive combination of people and operational experience uniquely qualifies Shawn to serve Morrison clients’ “people” needs with both a professional HR background and real-world operational leadership experience. He manages Morrison's People Solutions services, which specializes in all things related to people. Shawn previously served in Human Resources Manager and Quality & Compliance positions for NIBCO, Inc. (a manufacturer of valves, fittings, and flow control products that operates manufacturing facilities throughout the United States, Mexico, and Poland), advancing to the Administrative Manager position overseeing all non-production related functions at assigned manufacturing facilities, including quality and compliance functions, procurement, IT, and HR. His responsibilities included targeted selection (behavioral interviewing), compliance with HR law and regulations, EHS (Environment, Health, and Safety) systems (including positioning a facility for STAR certification), TQM (Total Quality Management), administration of the Steelworkers Union labor contract, and oversight of a facility closure and the associated union relations. 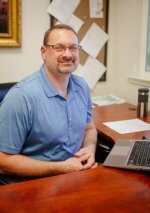 Shawn implemented a companywide workplace violence prevention program, and has experience with the developed and administered bonus structures for personnel at all organizational levels. In addition, Shawn has held operations or production manager positions at Dometic, overseeing their US based refrigerator manufacturing process; Global Building Products, a US based manufacturer of steel doors and windows for commercial construction; and Dutch Mills, Inc., a manufacturer of high-end furniture and cabinetry. He also founded and operated a manufacturer of high quality furniture, cabinetry, and millwork products. Shawn became SPHR certified in 2003 and holds a bachelor’s degree from Cedarville University, Ohio. Consultant Jesse Converse is part of the Morrison & Company People Team, bringing over 15 years of human resources experience in the areas of talent management, performance management, recruiting, employee relations, and training. At Morrison, Jesse assists clients in navigating complex employee relations issues, improving performance and talent management processes, recruiting, and implementing standardized processes and best practices. Jesse has worked in both the public and private sectors, operating equally as manager and provider of HR services and as a true strategic partner. 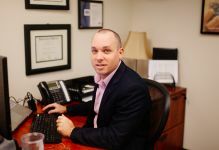 Prior to joining Morrison & Company, Jesse served for six years as HR Business Partner and HR Manager for Windstream Communications, a Fortune 500 company based in Little Rock, AR. There he provided strategic HR services to the wholesale business unit and its leadership team in various states throughout the country. During his time at Windstream, Jesse partnered with the Wholesale and Enterprise leadership teams to deliver strategic services such as succession planning, employee engagement, culture integration, performance management, reductions in force (RIF), organizational restructure, policy creation, and process improvements. 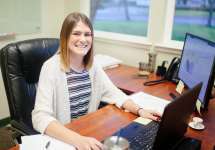 In addition, Jesse has worked in a variety of HR roles for organizations such as Costco Wholesale, Regions Bank, and the City of Chico. He currently serves as a Board member for Magna Imperio Systems, a developer of technology for purification and treatment of industrial/commercial wastewater streams and of salt and brackish water based in Houston, TX. Jesse became PHR certified by the Human Resources Certification Institute (HRCI) in 2009. He currently holds both the PHR certification as well as the SHRM-CP certification from the Society for Human Resource Management (SHRM). He holds a bachelor’s degree in business management. Consultant Janae Prentice serves our Morrison clients primarily in our People service line, assisting clients in their recruiting needs. She tailors her talent searches to align not only in filling the immediate vacancy, but in ensuring candidates are a great fit for the company and culture as well. She is a key contributor to Morrison’s distinguished recruiting practice and has talent in recognizing the best candidate for a position and doing so quickly. As a talented recruiter and human resources consultant, Janae ensures every project is completed through a holistic and streamlined process. In the recruiting practice, Janae works closely with job boards and other advertising venues to promote open positions in unique and creative ways, performs reference and background checks, and provides other vital recruiting support. Janae joined Morrison & Company after several years with State Farm Insurance, a nationwide insurance agency firm. As a customer relations representative, she directly served local rice, almond, walnut, and prune growers, among countless other clients. 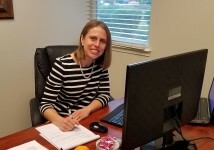 Among her duties, she performed comprehensive insurance reviews, drafted new policies to determine the best fit for clients’ needs, and extended exceptional value to clients through above and beyond communication and service. Janae’s key attention to customer service, strong oral and written communication skills, and highly organized and effective processes related to recruiting and human resources benefit her role at Morrison. Janae holds a bachelor's degree in Liberal Arts and Sciences/Liberal Studies Literature from California State University, Chico.